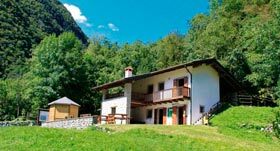 The “Albergo diffuso Valli del Natisone” (integrated multi-building accomodation) offers hospitality at holiday homes distributed across the boroughs and villages of the municipalities of Stregna and Grimacco, in the Slow Valleys of Natisone river. Lovely lodges set in the enchanted atmosphere of the woods and mountains dominated by Mount Matajur. At the border with Soča valley (Slovenia), not far from Cividale del Friuli (Unesco Heritage) and the Sanctuary of Castelmonte, close to the Collio vineyards and two driving hours from Venice, the Natisone Valley integrated multi-building accommodation gives the opportunity of enjoying a free and comfortable holiday, discovering the Friuli Venezia Giulia region, one of the 10 Lonely Planet Best Destinations for the year 2016. Don’t waste your chance of “living” our villages: traditions, culture, music, cuisine… our history. Enter an ancient world that is all to be discovered! Matajur is the symbol of the Natisone valleys. 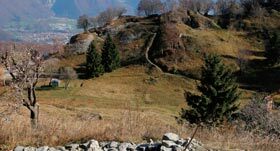 From the rifugio Pelizzo you’ll reach the top in about 1 hour walk, to enjoy one of the most stunning panoramas from the Alps to the gulf of Triest. 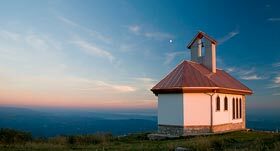 Go ahead to reach the Mersino little lake, take rest and have another beautiful view from the Koča – Dom na Matajure , then go back home with the heart full of beauty and happyness! For our little guest: don’t miss a visit to the Centro visite, to know the habits of big wild animals who live in our region. Students and volunteers will show you the University of Udine’s researches and teach you funny games. Open on Saturdays and Sundays from 10am to 6pm. On the high plains of Mt. Kolovrat in the municipality of Drenchia, there are still many traces of WW1 to be found. It is an area that is really an open-air museum which winds its way through trenches, look-out points, walkways and artillery firing stations, all still visible today. 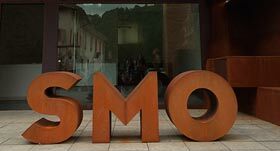 The path of remembrance continues in the nearby Slovenian town of Kobarid (Caporetto) with its worldrenowned museum dedicated to the Great War. Other local WW1 places to visit include: a private collection of memorabilia at Tribil Superiore & Kambreško. 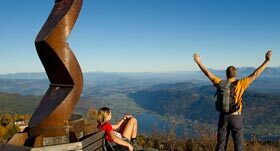 The Alpe-Adria-Trail connects the three regions of Carinthia, Slovenia and Friuli-Venezia Giulia in a total of 43 stages. This long-distance hiking trail leads from the foot of the highest mountain in Austria, the Grossglockner, through the most beautiful mountain and lake regions in Carinthia, and without any major detours leads close to the point where the three countries of Austria, Italy and Slovenia intersect at the Dreiländereck, and then on towards Muggia, near Triest. 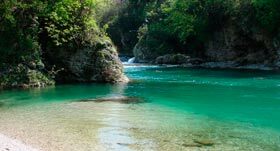 You’ll fall inlove with the surprising colors of the Natisone river, the perfect place for a refreshing swim, a walk in the silence of the forest, a relaxing fishing afternoon. 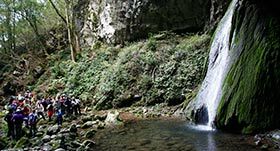 With an easy walk you’ll reach a little valley out of time, rich in water and with a lush vegetation: welcome to the Jurassic world! 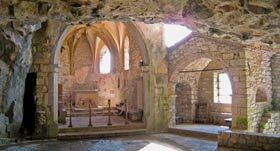 Gothic church, shelter, archaelogical and speleo site, the Grotta d’Antro will surprise you with mistery and symbols its frescos. 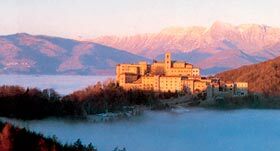 One of the most ancient Sanctuary in Italy, part of the Cammino Celeste that starts in Aquileia and leads to Monte Lussari, and of the Via dei Monti Sacri, that connects Castelmonte with Marijno Celje and Sveta Gora, in Slovenia. Besides the church with the black Holy Mary do not miss the cripta with the devil and St. Michael, and the interesting “naive gallery” with the ex voto pictures. In the museo di paesaggi e narrazioni you’ll know the Natisone valleys culture and languages through installations, interviews. With a special live painting of the young artist Cosimo Miorelli.